On April 4, 2017, over 140 art house movie theatres across the country in 124 cities and in 41 states, plus four locations in Canada, will be participating collectively in a NATIONAL EVENT DAY screening of the 80’s movie 1984 starring John Hurt, who sadly died January 25, 2017. This date was chosen because it’s the day George Orwell’s protagonist Winston Smith begins rebelling against his oppressive government by keeping a forbidden diary. In 2017, the novel 1984 hit the New York Times and Amazon bestseller lists again. In a world of “alternative facts,” and the media dubbed “an enemy of the people,” local educators are seeing the timeliness of teaching this novel once again. Join us as we host Michael Radford’s directorial efforts on screen – along with a compelling opportunity to choose from three post-film “electives” from three Ph.D.’s from Augustana University’s English department. This is your chance for some tuition-free learning from three leading professors of writing, film and literary criticism! 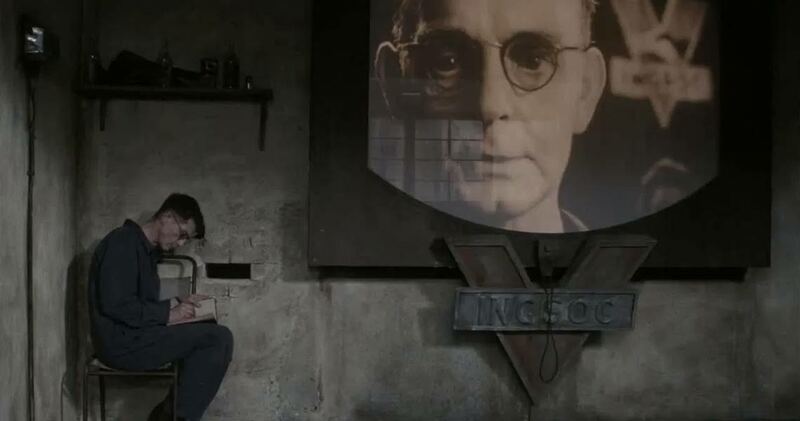 Description: Our post-film conversation will first consider the aesthetic and industrial elements that define Michael Radford’s re-vision of Orwell’s novel. We will then consider the social and political contexts of the film in its time and examine its place in the Cold War history of dystopian films. Extra credit: Visit this YouTube site: https://www.youtube.com/watch?v=2zfqw8nhUwA. Description: Our discussion will focus on how 1984 relates to and frames our contemporary debates about the ethics and efficacy of state surveillance. We will also discuss the connections between 1984 and our larger surveillance culture in which we enjoy voluntarily watching and policing each other through social media (with particular focus on gender, race, and sexuality). Dr. Patrick Hicks (Writer-in-Residence) – Doubleplus Good: The History that shaped 1984, and Why it Needs to be Taught. Description: Authors write about what they see happening around them, and in this post-film discussion, we will be examining what role Orwell’s background, the Third Reich, and the Soviet Union, all had in shaping his masterwork, 1984. Aside from examining the history that influenced the novel, we will also talk about how this narrative has been used in the classroom.